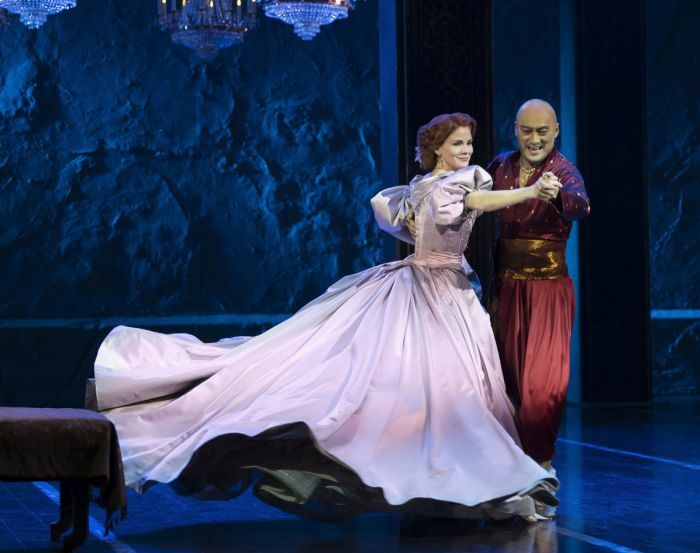 Bartlett Sher’s multi Tony Award-winning revival of Rodgers & Hammerstein’s The King And I will transfer to the London Palladium next Summer, along with stars Kelli O’Hara and Ken Watanabe. London theatregoers should start to Whistle A Happy Tune, because the production is set to conquer the world-famous venue from 21 June 2018 (press night 3 July) for a limited engagement until 4 August. This follows the production’s critically acclaimed 16-month run on Broadway at New York’s Lincoln Center Theater, and a record-breaking USA tour. O’Hara, who claimed the Tony Award for Best Lead Actress in a Musical for her performance in the production, will reprise her role as Anna Leonowens, while Watanabe, also a member of the original cast, will star in the title role of The King Of Siam. Both stars will be making their West End debuts in The King And I. One of Rodgers & Hammerstein’s finest works, The King And I boasts a score featuring such beloved classics as Getting To Know You, Hello Young Lovers, Shall We Dance, I Have Dreamed, and Something Wonderful. Set in 1860s Bangkok, the musical tells the story of the unconventional and tempestuous relationship that develops between the King of Siam and Anna Leonowens, a British schoolteacher, whom the imperious King brings to Siam to tutor his many wives and children. Acclaimed Tony Award-winning Bartlett Sher will once again direct the production, hot on the heels of his work on The Lincoln Center Theater’s World Premiere of J.T. Rogers’ smash hit play Oslo, which opened on Broadway and then transferred via the National Theatre to London’s Harold Pinter Theatre in October this year to rave reviews. He, along with the celebrated creative team behind the award winning production of South Pacific, will reunite to bring this majestic production to life at the Palladium. With music by Richard Rodgers, and book and lyrics by Oscar Hammerstein II, The King And I – which won four Tony Awards including Best Revival of a Musical – will have its European premiere in spectacular setting of the London Palladium. Book The King And I tickets now.